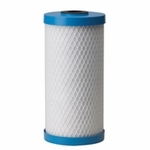 Available for under counter and countertop filters that use standard 10 inch housings. 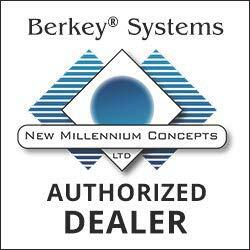 * Based on manufacturer�s internal testing. 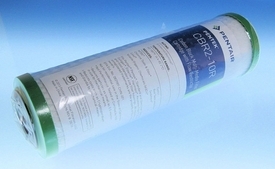 These cartridges are protected by Endurawrap�, a uniquely formulated polyolefin bilaminate prefilter, designed to significantly increase the useful life of the cartridge by trapping sediment that typically plugs carbon block cartridges. As with our standard CBC Series carbon block, both the CBR2-10 and CBR2-10R are effective at reducing levels of chlorine taste & odor, MTBE and VOCs. * The CBR2-10R has a built-in flow restrictor (0.6 gpm) to allow for maximum contact time.